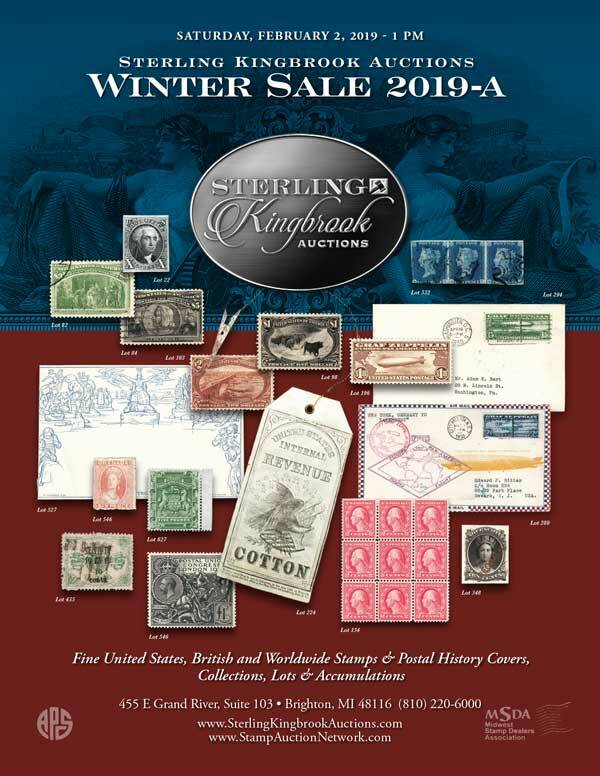 Sterling Kingbrook’s first big auction of 2019 will be February 2rd at 1pm at the Sterling Kingbrook Auctions office in Brighton, MI right next door to Sterling Stamps. 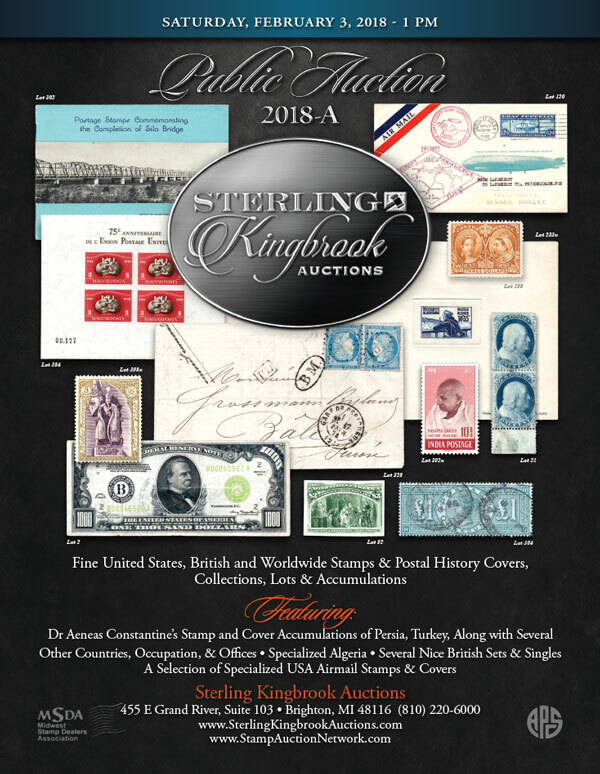 Sterling Kingbrook’s second big auction of 2018 will be June 23rd at 1pm at the Sterling Kingbrook Auctions office in Brighton, MI right next door to Sterling Stamps. For more up-to-date auction lot information and photos visit sterlingkingbrookauctions.com.